Our Bio — Dominion Lighting, Inc.
Dominion Lighting is a company that exists to enhance your space with affordable, energy-efficient solutions. 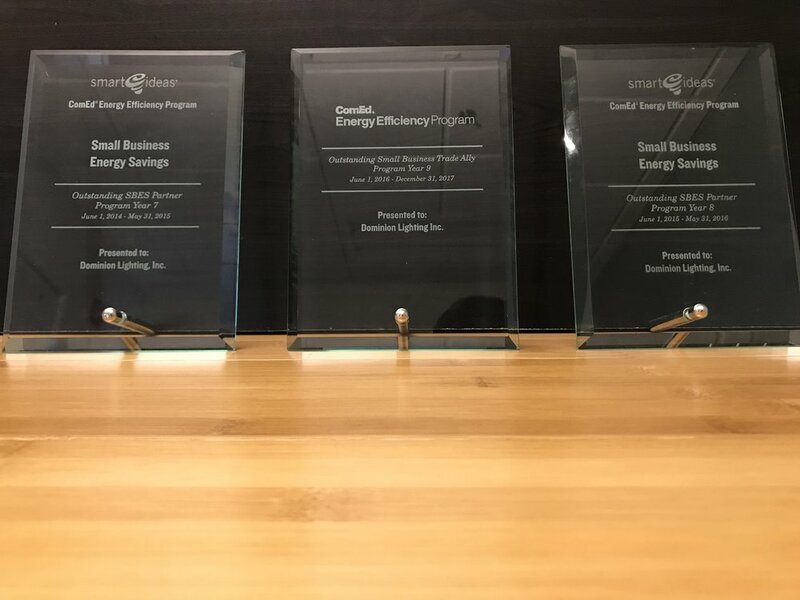 We've helped hundreds of businesses upgrade their inefficient lighting, refrigeration, compressed air, and water systems to reduce energy consumption and save money on their electric bill. Our proven process creates an easy step-by-step program with customized solutions to fit any business type. Founded in 2012 during the infancy of various energy efficiency rebate programs, Dominion Lighting has since grown to expand its level of expertise and scope of services. Now our award winning approach has focused in on the areas of LED lighting with intelligent controls, and solar technology. As a small business, we understand that time and money are valuable resources to you. With this in mind, we've streamlined the path to a brighter and more beautiful workplace by completing each project in four easy modules - the assessment, the estimate, the rebate applications, and the installation. Here at Dominion, we are much more than typical contractor, we provide you with the tools necessary to make the right decisions on what's best for your facility. Dominion is always looking for talented individuals to join our team - either as interns or full-time employees. Passionate about energy-efficiency? Looking for a career in an exciting, new field?